* IMPORTANT INFORMATION ABOUT DIGITAL DOWNLOADS: If you purchase a digital version of any of our products, download to a computer only. Electronic devices such as phones and tablets do not have the ability to open zipped files. Click Here to read more about our downloading procedures and tips. 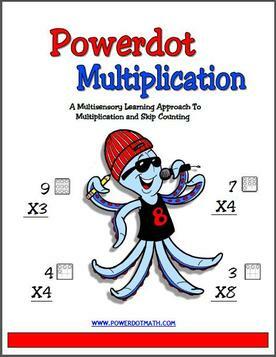 Introducing the Powerdot Multiplication DVD! You've seen a few of our early videos on Youtube, Teachertube and throughout the internet. Now own the COMPLETE SET of our newest videos! 13 music videos that quickly teach how to count and multiply by numbers 0 - 12. Each video and song is packed with mnemonic devices to maximize retention. - 8 page instruction manual and tips booklet to help you get amazing results. * Note: Product is not available for international shipping. 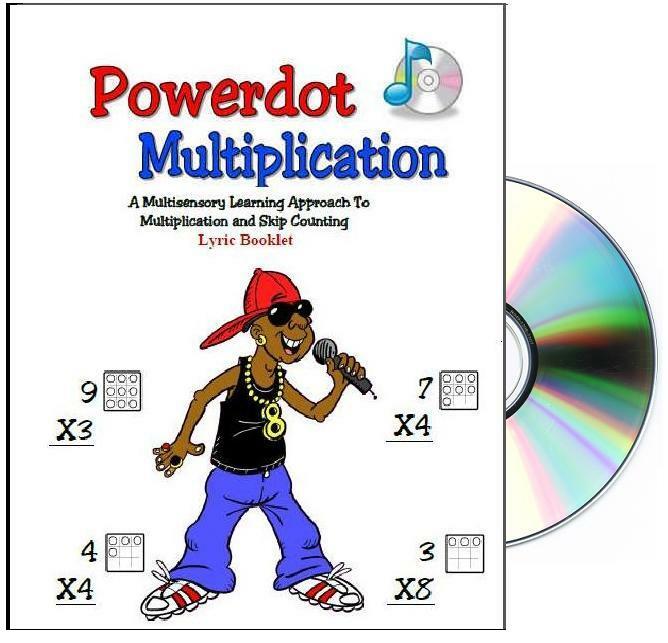 - Powerdot Math Multiplication CD and Lyric Booklet. This fun and exciting music CD contains songs for each number (0-12) and also shorter "review" versions of each song. Full versions of the songs are great for introducing each concept, and the short versions are perfect for quick review sessions. 26 Tracks in all. practice sheets, song lyrics, tips and instructions using the Powerdot Math System. Powerdot Math Multiplication supports Common Core Math Standards, including, 2,OA.C3, 2.NBT.A.2, 3.OA.A.1, 3.OA.B.5 and more. "review" versions of each song. Full versions of the songs are great for introducing each concept, and the short versions are perfect for quick review sessions. 26 Tracks in all.